"To win, you have to believe you can do it. You have to be passionate about it. You have to really "want" the result - even if this means years of work. The hardest part of any big project is to begin...” - Sir Peter Blake’s last log aboard the Seamaster before he was shot by pirates in 2001. 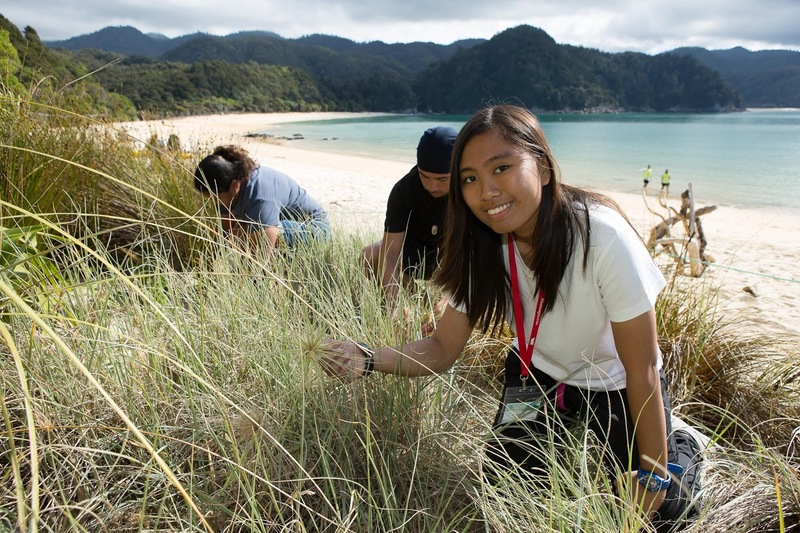 I had the amazing opportunity to be one of the first Pacific delegates to the Sir Peter Blake Trust 2016 Youth Enviro Leadership Forum (YELF for short) in April. I was able to travel to New Zealand (Wellington, Nelson, and Auckland) and had the time of my life while learning heaps of new things. From the moment I set foot in New Zealand, the breathtaking flora and fauna, city lights, and enchanting scenery immediately made its mark on me. I knew at once that this beauty must be preserved. 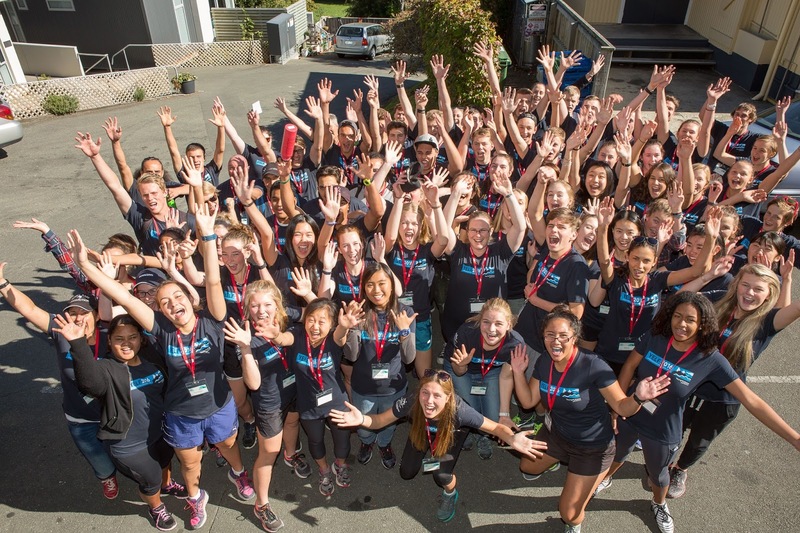 This year’s YELF focused on pest eradication, ocean health, and biodiversity. Aside from the workshops and adventures, we went all around Nelson developing deeper connections with our new friends as well as deepening our understanding of our planet. Before the forum began, I was hosted by Bronwen and Ashleigh, two lovely ladies from The Pew Charitable Trusts. They showed me and my fellow Pacific delegates around the city of Wellington. We visited Wellington Zoo where we got a behind the scenes look at what goes on at The Nest Te Kōhanga, the zoo’s hospital and was greeted by a recuperating penguin. Later, at the Museum of New Zealand Te Papa Tongarewa we were able to see cultural and historical Maori artifacts as well as the museum’s Pacific collection. On the first day of the forum, we touched down at Nelson on the South Island. After settling in, we quickly got into groups and headed out to do volunteer work as part of Serve for NZ’s ANZAC day campaign. In Australia and New Zealand, ANZAC Day is similar to our Memorial Day. At the end of the day, our cooking skills were put to the test as we had a MasterChef Challenge, complete with judging from NZ MasterChef Winner, Tim Read. I must digress, being surrounded by my Kiwi peers, it was a bit off a culture shock. We had the opportunity to truly be immersed in Maori culture. We visited Whakatu Marae and I had my first Hangi lunch- a traditional Maori cookout where food is cooked in a pit oven with heated rocks. After that we headed off to Brook Waimarama Sanctuary where we learned about their efforts in pest eradication. The friendly ranger explained to us the Sanctuary’s efforts of pest proofing the area to help save the native species from stoats and possums. Rather than use controversial 1080 aerial poison, they plan to use brodifacoum to get rid of the other. Unlike 1080, brodifacoum is more environmentally friendly as it does not dilute and affect water supplies. It also has an antidote in case of accidental poisoning. Another way they catch pests is with the use of traps. Although time consuming, traditional traps are still effective in reducing pests. Recently, the sanctuary’s latest project is installing a pest free fence over the entire area. The fence features a very fine mesh that extends underground to prevent burrowing. One place that we were fortunate to go to was Cable Bay. At the marine reserve we did the usual recreational activities of kayaking and snorkeling. However, it was anything but usual. One lucky group encountered a pod of orcas as they were kayaking the chilly waters. Another group was able to see seals. Looking underwater as we snorkeled proved to be a spying game of sorts. You had to be on the lookout for marine life to be able to witness it in all its natural glory. Among the many things we spotted, I saw kina, colorful fishes, a sting ray, and an octopus! Not even the cold temperature could keep me from enjoying the swim. On our trip to the Cawthron Institute, I gained a broader idea of how ocean acidification is affecting our marine environments. As global warming increases, the amount of carbon dioxide in the ocean increases and causes it to become more acidic. Marine life is detrimentally affected as CO2 exposure can cause adverse effects on fish reproduction, diet, and especially shell fish. It amazes me how far their people go to preserve and protect the natural and native state of their land. I think we can learn a thing or two from our Kiwi neighbors. I certainly learned a lot. Probably the most important thing I took from this experience is that “change starts with you.” Although a tad bit cliché, that saying is very applicable to almost anything and in this case: environmental change. In order for there to be change, you need to start the ball rolling yourself. Everyone and anyone is capable of helping the earth become a little bit cleaner and healthier. From the smallest gestures such as picking up litter or planting a new tree, to the grandest like successfully creating a marine sanctuary, every bit helps. However, in order for this change to be effective, it must be a collective community effort. Only then will we be successful. Thinking back on home, I am reminded that Saipan’s main industry is tourism. If we continue to let our environment to deteriorate, our economy will suffer and not only that, but future generations may not be able to enjoy and experience it. Like Sir Peter Blake has said, “I think everyone really needs to understand that we are a part of the environment, not apart from it." My participation was sponsored by The Island Voices, a learning network of artists, educators, fishermen, navigators, and leaders, communicators of traditional knowledge and wisdom, and advisors to The Pew Charitable Trusts. I was nominated by Vicky and Island Voices Ambassador Diego T. Benavente. I would like to thank Pew, the Marianas Tourism Education Council, the Sir Peter Blake Trust team, and the New Zealand Ministry for the Environment for giving me this opportunity of a lifetime. Kia Ora.